I just got geek wood. This thing is awesome. 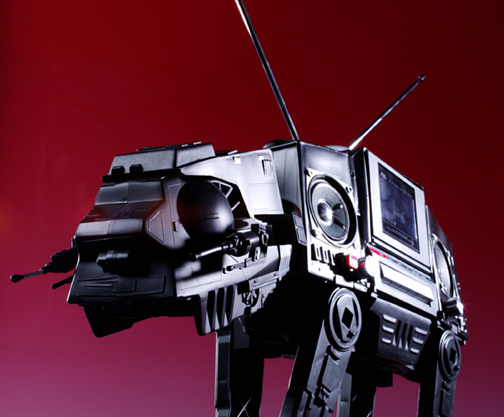 Looks like it’s a fully functional boombox made out of a Star Wars AT-AT Walker. WOW! Looks like it only has a tape deck (I know… even my parents ditched cassette tapes); but still… it’s wickedly cool. No somebody just needs to make one with an IPod dock connector!